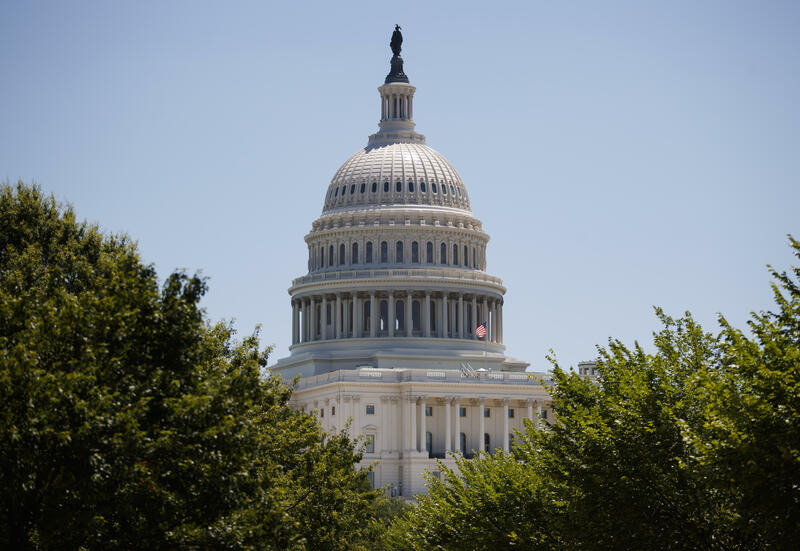 The Senate approved a $147 billion package containing Energy and Water, Legislative Branch, Military Construction and Veterans Affairs appropriations bills, the so-called "minibus" funding bill, 92 yeas to 5 nays on Wednesday. The package now goes to the House for consideration before going to the White House for President Trump's signature. The Military Construction, Veterans Affairs, and Related Agencies Appropriations Act, 2019. The bill also provides additional Overseas Contingency Operations/ Global War on Terrorism funding which is exempt from discretionary spending limits. This "first minibus" appropriations bill includes 3 of the 12 FY 2019 appropriations bills that need to be passed by October 1, the beginning of Fiscal Year 2019. Lawmakers would still need a short-term patch for a portion of the government, including the Department of Homeland Security, which oversees Mr. Trump's long-promised wall along the U.S.-Mexico border. "The American people expect us to get our work done. If we continue to work together in a bipartisan manner, we can successfully fund nearly 90 percent of the federal government on time through regular order — something Congress has not been able to do in many years," said Senate Appropriations Committee Chairman Richard Shelby, R-Alabama. "We still are in favor of the wall, we still want to get funding for the wall, but we think the best time to have that discussion is after the election," Senate Majority Leader Mitch McConnell told Fox News last week. McConnell said there's "zero" chance of a government shutdown. Even so, Mr. Trump held out the possibility of a shutdown, citing the need to protect the nation's border by following through on his signature campaign promise. "If it happens, it happens," Mr. Trump said last week. "If it's about border security, I'm willing to do anything." The White House in a statement said Mr. Trump looks forward to signing the spending package, adding that it "aligns with many of the administration's priorities." The three-bill bundle approved by the Senate on Wednesday features a $5.1 billion increase for the Department of Veterans Affairs, including $1.1 billion to pay for a law Mr. Trump signed in June to give veterans more freedom to see doctors outside the troubled VA system. CBS News' John Nolen contributed to this report.